So there’s this very cool lady named Rebecca Wood. She’s one of those special folks who teaches the rest of us all about food and nutrition, with one her areas of expertise being whole foods as you see below. Well. 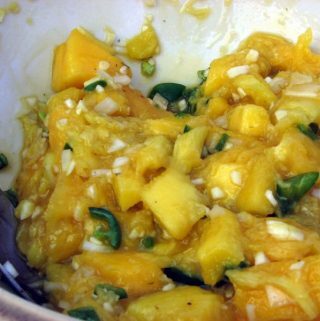 Rebecca publishes a newsletter and included a nifty recipe for mango sorbet in her “My Dad and Cake” issue. While I don’t want you to leave *MY* site, I’m going to link you to the recipe instead of posting it directly out of respect for Rebecca’s copyright; I’m sure you’ll enjoy it! 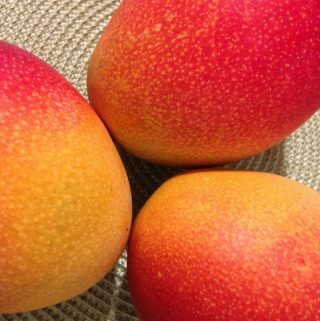 And thanks, Rebecca, for being a friend to mangoes!